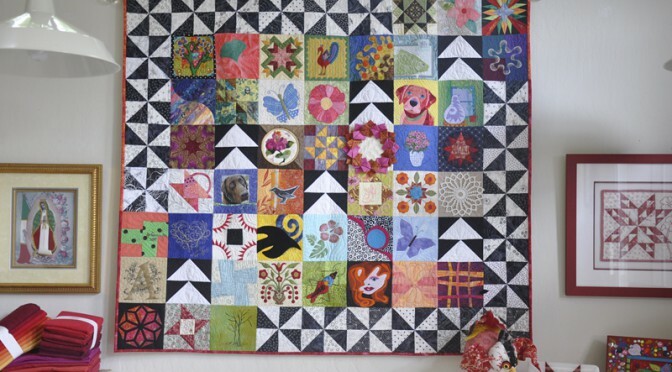 On www.thequiltshow.com we have an incredible variety of guests. We request that each guest bring two 6 1/2″ blocks which represent their style for both Ricky and myself. 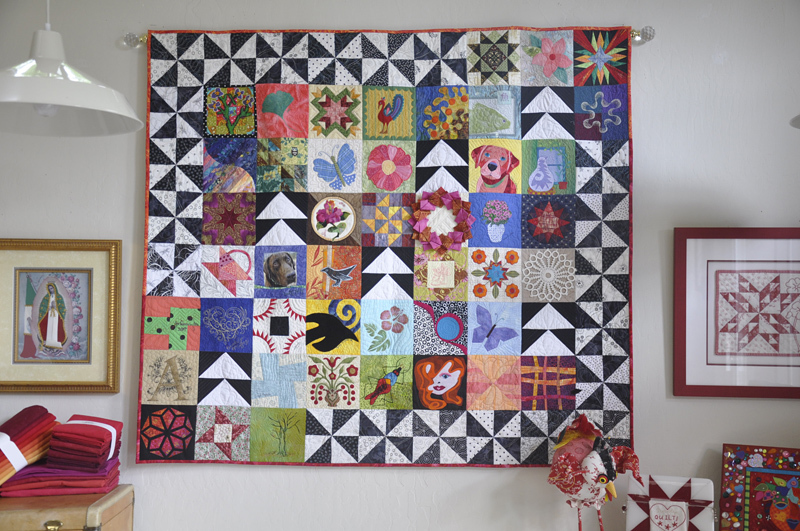 Here is the first quilt I made from these delicious beauties – this quilt graces the wall of my quilting room as is a source of constant inspiration.